HTC has finally explained its choice of the HTC U12+ moniker. 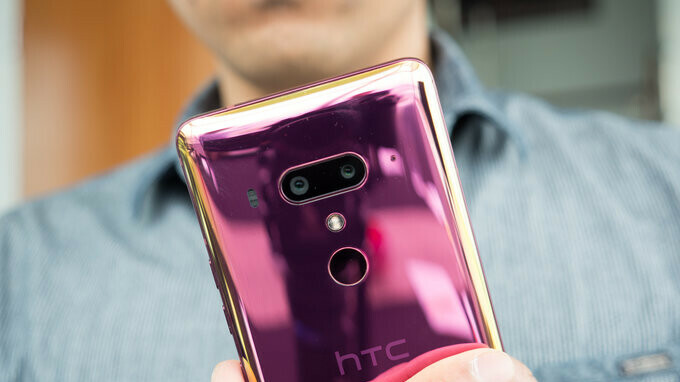 The Taiwan-based company’s recent product may have raised some eyebrows due to its name – there’s no regular HTC U12 in the lineup – but, after explaining itself, it appears HTC’s branding choice actually makes sense. According to the smartphone brand, the company had internal debates in regards to the name, often switching between the HTC U12 and U12+. Ultimately, however, the company decided on the latter variant due to the smartphone’s overall size and direct competitors. After all, the new device is much bigger than most regular flagships, boasting similar dimensions to Samsung’s Galaxy S9+ or Google’s Pixel 2 XL. Also, it largely resembles last year’s HTC U11+ in size. Furthermore, on a spec note, the company believes the internal specifications of the U12 Plus closely resemble those of larger flagships, thanks in part to the dual-camera setup featured on the back. Thus, it appears HTC’s branding choice aims at clarifying the device’s position in the premium flagship market, while also justifying the smartphone’s price. As a reminder, HTC’s latest flagship offering boasts a large 6-inch display on the outside and is powered by Qualcomm’s Snapdragon 845. This setup is coupled with 6GB of RAM and either 64GB or 128GB of internal storage depending on the consumer’s preference. Nevertheless, it can be further expanded via microSD card. Over in the camera department, a main 12-megapixel camera accompanies a secondary 16-megapixel sensor on the rear, while up front, two 8-megapixel lenses are present. Those interested in the HTC U12+ can currently pre-order the smartphone in the US unlocked for $799, with it being compatible with AT&T, T-Mobile, and Verizon networks. However, no direct carrier availability has been announced as of yet. It probably stands for the amount of devices that will be sold. If you want a 5.5" just get the U11! HTC still makes decent phones and many will be tempted to buy one. There is only one thing to cinsider. Their post purchase service severely damaged. Pending, delays , lies just to sort out simple things like warranty. Keep in mind this company is on life support and hardly can maintain acceptable levels of support. Even back when M7 came out I had issues with warranty them dragging whole thing for 6 weeks! Sending same devices for 3 times. Here in UK it's absolite. Sadly most if not all reviews talk no about post purchase affairs simply for the reason they usually don't have to deal with that. They get phones for free not all the phones but a lot. These days I am very cautious when purchasing new device I keep in mind what if anything goes wrong? From my practice, I had Pixel ( google was ) trouble free for me. Replacing faulty phone with new within in 10 days. Just a question : I know warranty is there to cover manufacturing defects but come on ! How many devices did you need to refer back to the manufacturer during the warranty period? My htc U11 was bought in July-2017 and I never faced any single issue and therefore, i dont even know where is the htc agency located in my country !! Single device is enough in my opinion. It was purple hue in photos caused by sensor. Known issue though. After repair issues persisted but this time device integrity was compromised too. I had gaps between sandwiched top and bottom parts all over. I sent it another 2 times. Didn't do that for the 4rth time though. Was fed up. At the time they had repair centre outside UK and in UK as representative told me. But honestly I don't care where it's located. This one my determining thing in which I pick a phone , I think thats why apple is having such a success its cause they have the best support. And this a main reason why pick samsung I have broken 2 phone and with their warranty no questions asked they sent me a phone within one day. And this why I hesitate to go with anybody else. htc U12+ would make more sense as htc is not planning to release a "Plus" version this year as per their common practise ..
Dammit, I was really looking forward to the HTC U12+ Plus. This is one amazing phone, especially the flame red color. Can't wait to get this one in hand. The king of smartphones is coming. Just because they lose some bezel doesn't mean they can make it as thick as they want. Did HTC bother to explain why they didn't wisely bring the headphone Jack back? (it's still in high demand not expensive to include and you can still achieve IP68) why there's still no wireless charging on a glass phone? (makes no sense) why they didn't include a 4000mah battery or more to create separation from the usual to attract more customers? Why no AMOLED? Why they didn't make it available through major carriers? (as we know most people like to go to their local carrier and select a phone with a purchase plan not go exclusively to a website to outright buy a $900 phone. (another boo boo) I'm astonished that a company in dire straits would not include the above features I mentioned above as a last ditch effort to save their company and crawl out of the hole they dug themselves into with one bad business decision after another I guess HTC just wants to keep digging themselves deeper and deeper until they are no more. I'm sure the U12 is a stellar performer but it has virtually no chance to compete with other flagships it just simply doesn't check enough boxes. I still think HTC missed out by not making this a Note competitor (no one makes a Note competitor). Should have added a stylus and a software suite to make use of that stylus.